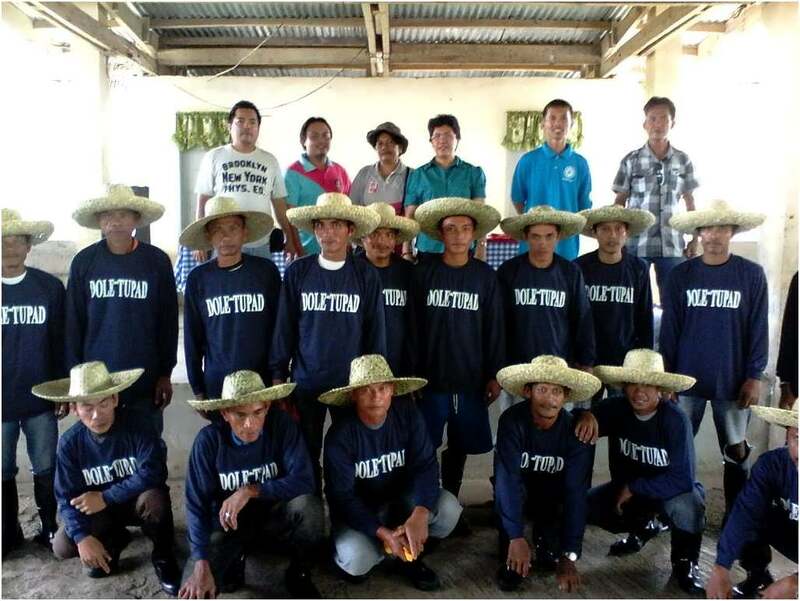 2319 workers from different Municipalities of Zamboanga del Norte benefited from Tulong Pang hanapbuhay sa ating disadvantage workers (TUPAD) program.The program aims to provide emergency employment to poor, displaced and indigent individuals, thus contributing eduction of poverty especially those affected by the El Ni?o (Dry Spell). The hired TUPAD workers are being paidwith the regional minimum wage of P280 per day and will be working for minimum of 15 days and maximum of 30 days. Workers are also covered with the social protection under the GSIS and provided with Personal Protective Equipment (PPE) such as Safety Boots, Sweatshirt, Hat, gloves and other PPEs fitted to their assigned work and/or project. Orientation on the Occupational Safety and Health was also conducted before the start of the implementation for the workers to be aware of the basic safety and health practices. Things being discussed were the different unsafe act and unsafe conditions in the workplaces so that work- related accidents will be minimized and/or prevented. Projects to be undertaken consist of community clean-up activities, clearing of debris and de-clogging of canals, Segregation of Material Recovery, Construction of Women Center, Nursery Management, Coastal Cleaning and Rehabilitation and Repair of Provincial and Barangay Roads. The program will not only provide income for the beneficiaries who are mostly affected with El Ni?o phenomenon but likewise contribute to the improvement of facilities and environment.